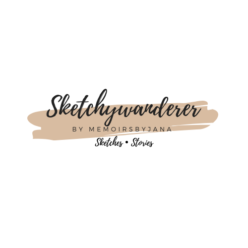 Sketchywanderer - Sketches & Stories ! 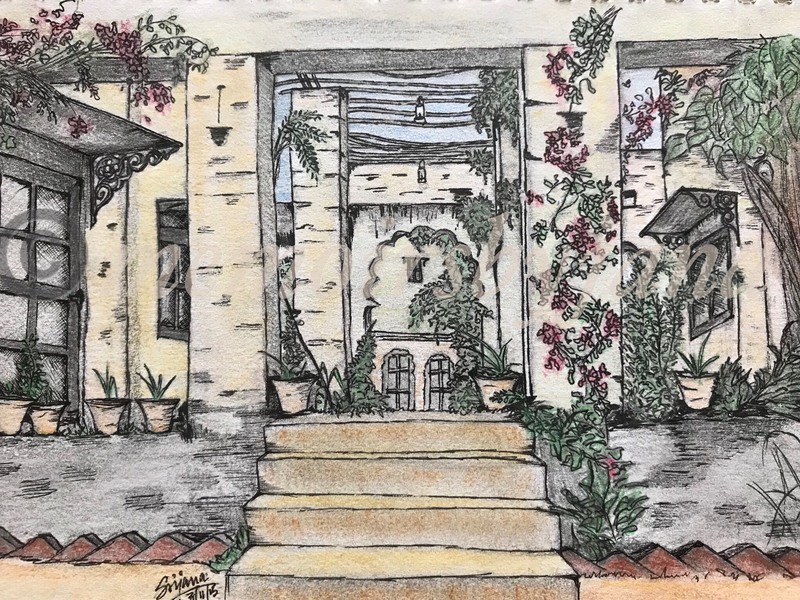 Having travelled extensively as an environmentalist trying to understand better ways of managing the natural eco-system and its resources, Navraj believed co-habitation with the surroundings was the only way forward. He often chose to stay at minimalistic, off-beat locations to learn more about the environment, hoping that one day he could bring the knowledge and awareness of his research nearer home. 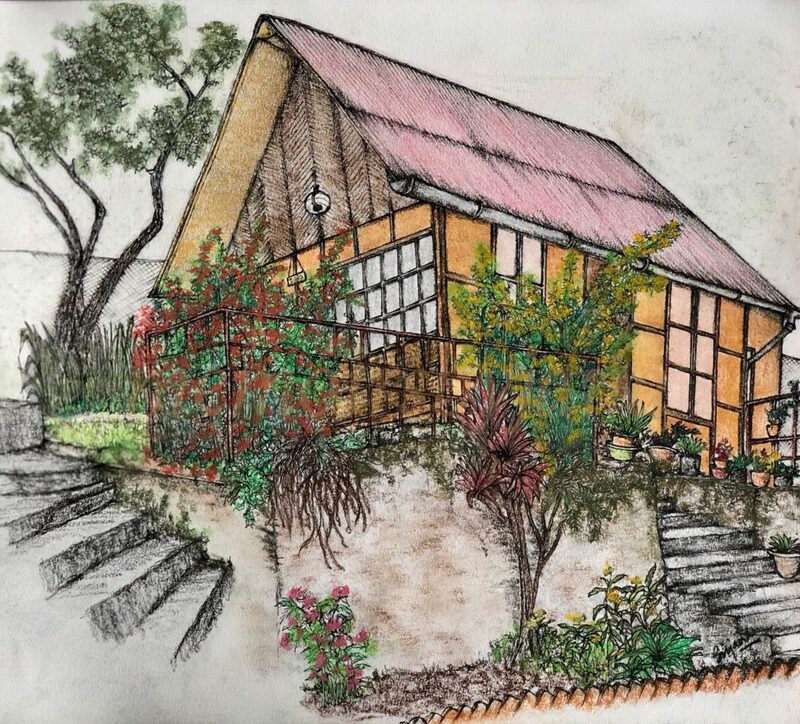 With the idea of building their own ’knowledge-centre’, Navraj along with his family (Rajani, Youraj and Dipesh) set about formulating a plan to convert their ancestral farm in the foothills of the Eastern Himalayas and integrate the space as an eco-tourism model with a sustainable initiative. What was once just 10 acres of terraced rice fields along with few indigenous vegetables growing about until the late 1990s, the land gradually started developing into a mixed farm of agroforestry. 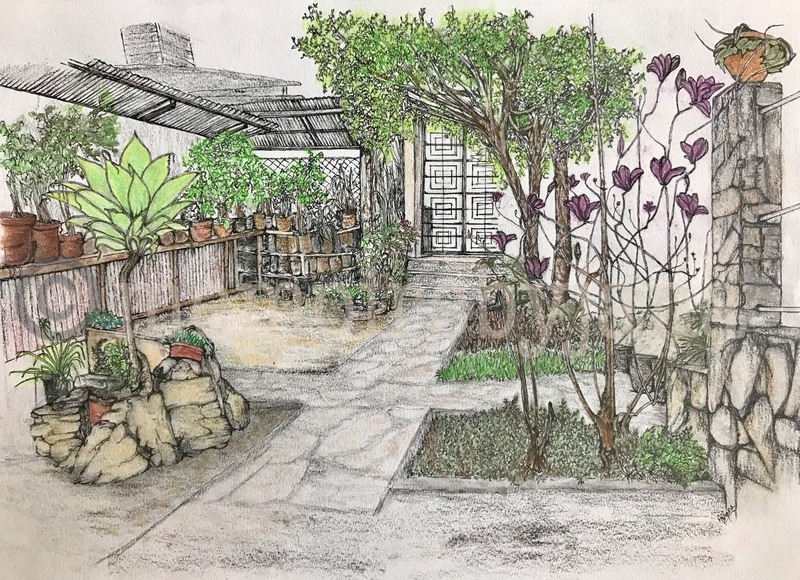 Moreover, with 10-15 years of additional concentrated work, the terrain began transforming into a well-groomed landscape surrounded by various species of timber, fruit and nut trees and more recently a robust range of organic garden produce. Over time various bamboo species could be found all over the area, prompting the owners to name it ‘ Baasbari’ or Land of Bamboos. ‘Baasbari’ was borne out of the need to highlight the importance of sustainable living and promote the use of local resources without destroying the environment; while supporting native culture. Much inspired by the minimalism of Japanese aesthetics in the form of their ‘ enso’ – a circle that is hand-drawn in one or two uninhibited brushstrokes to express a mind that is free to let the body create – Baasbari’s logo is symbolic of a simple & natural way of life. Coincidentally a bamboo when cut also resembles the ‘enso’. Whatever route you choose, it makes for an interesting ride as you pass through the small sleepy towns and reach the lower valleys near Bijanbari where almost nothing ever prepares you for what unfolds ahead. Breathtaking views of natural forests, tea gardens, mountain streams and the deep valleys greet you here. Located right here in this rich natural setting, Baasbari Farms calls out to the world-weary wanderer with a promise to bring an ‘offline’ experience like never before. This is where you ‘disconnect to reconnect’ with the real Darjeeling countryside. Also a popular day-expedition from the hill-town of Darjeeling, it takes approximately 90 minutes as you drive down a scenic winding road via Ghoom. Alternatively, it takes slightly less time through the village towns of Tukvar, Jamunay and Pulbazar. The nearest train station is New Jalpaiguri and the airport is Bagdogra, both about 3 and a half hours away. The Farm arranges transportation to and from the airport, train-station or Darjeeling town for guests and visitors. Primarily a knowledge centre and learning ground for local voluntary groups, school children, researchers and farmers to help them integrate sustainable development practices in their daily routines, the Farm is fast becoming a much-touted off-beat destination for just about anyone including the family ‘pet’. 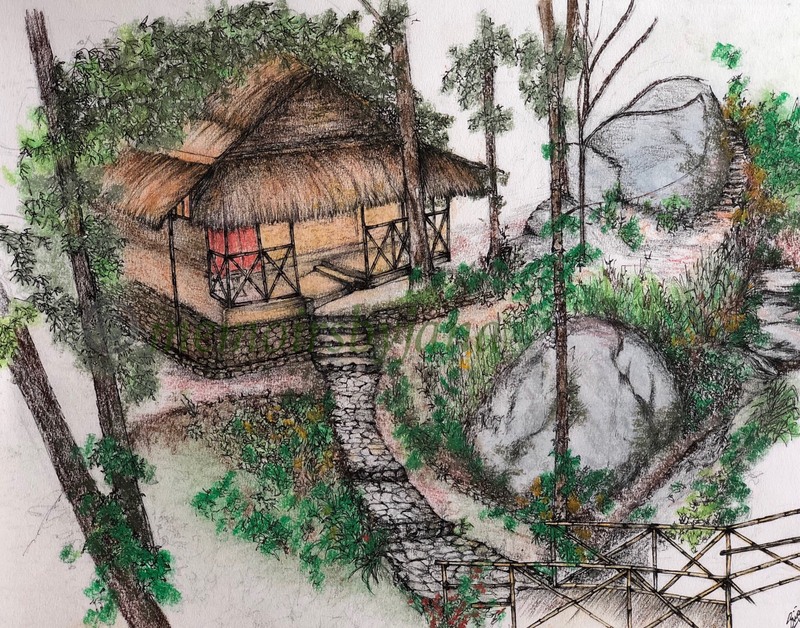 The farm seeks to promote tourism in these parts of the Himalayas in a minimally intrusive manner by offering a resort-style option for a weekend escapade or an anytime glamour-camping or ‘glamping’ option at its authentic best. Whether a visitor or a resident guest at Baasbari Farms there is much to learn and experience through workshop activities and informative field trips around the area. For the local participants, these classroom session workshops focus on skill-development and capacity-building. 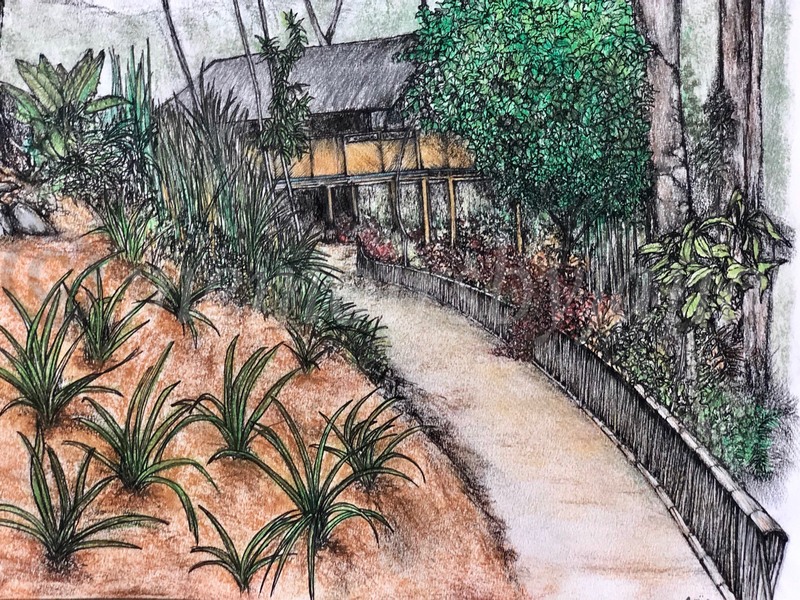 Workshop themes range from sustainable-living to community-development and take care to demonstrate practical ways for waste management, organic farming, cultivation of natural plantations and indigenous species, and also functions as a bamboo research and training centre. Knowledge shared and discussed at these workshops is well reflected in the design element, careful planning and layout of Baasbari Farms itself. 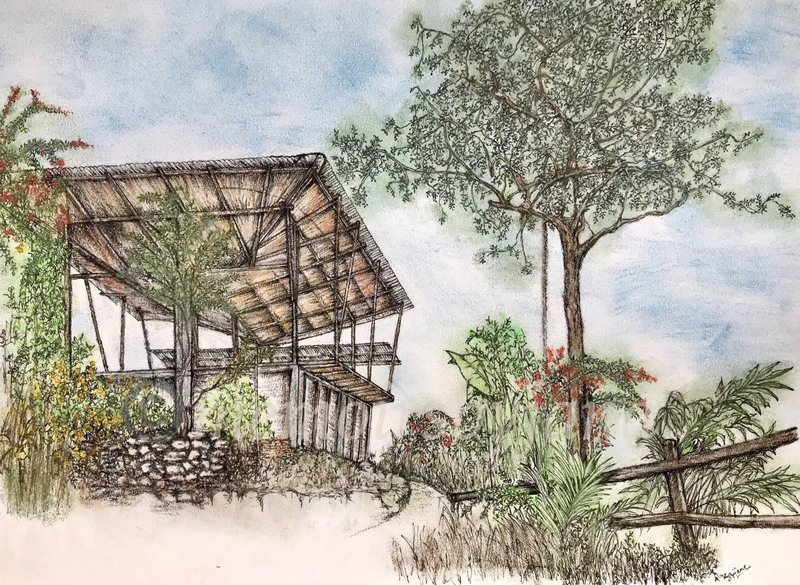 Sustainable structures built out of bamboo and local wood can be seen as practical solutions gathered from natural traditions passed down through generations. Baasbari Farm offers options of 3 Double bedrooms in well-designed bamboo units overlooking the wide expanse of the hills and valleys. 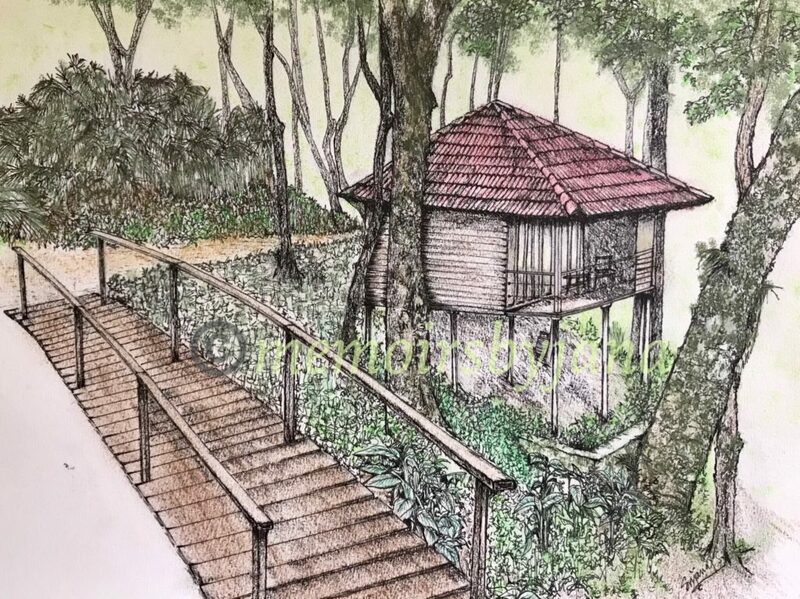 The newly built bamboo unit opens into a large balcony for that genuine off-the-grid feel with a picture-perfect view in the front; an ideal space for a private meal or two. Apart from this, there are 2 Luxury Tents that are ideal ‘Glamping’ experience in the middle of a forest. The farm also offers individual tents with sleeping bags and air mattresses for the adventure enthusiasts. The Farms looks forward to 3 more Bamboo units which are slated to come up very soon. Guests at Baasbari Farms can get access to the entire farm and kitchen should they wish to cook their own meals. 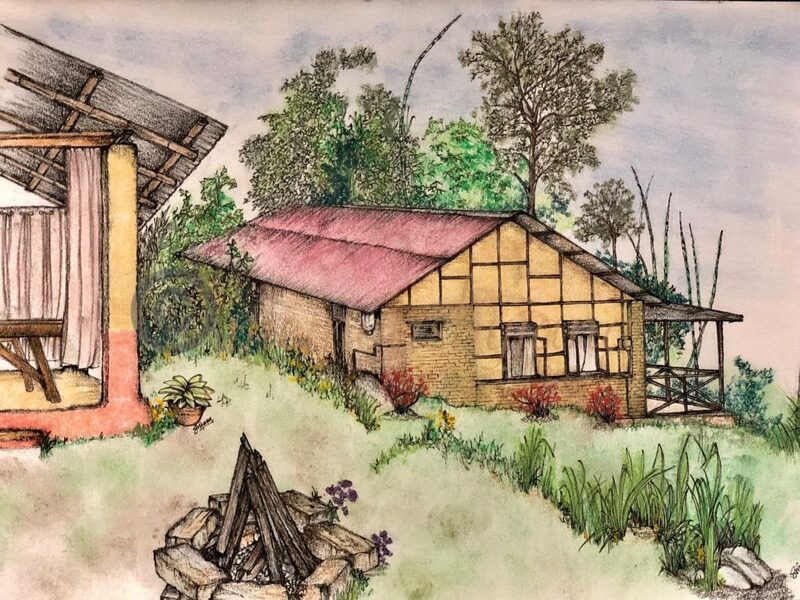 However, ‘food’ is one of the key attractions of this Farm and homely Nepalese meals that are organically grown and freshly prepared is served. Seasonal organic produce from the farm itself supplies the Kitchen at Baasbari to dish out local Nepali dishes, ethnic salads and smoothies with various natural blends and authentic spices. Food is lovingly plated on local ‘banana leaves’ and served in the traditional brass tableware. Local farm eggs and chicken comprise of their non-vegetarian items apart from the wide range of fresh & organic vegetarian fare that they offer. Try the local ‘gundruk’ – a lentil soup made with fermented greens that make for a hot and refreshing treat in the chilly mountains. While the meals constitute of simple Nepali dishes prepared by the family themselves, they also hope to add a whole range of ’Newari’ dishes in the near future to give a taste of their rich family culture and tradition along with a variety of their own bakery products including natural whole wheat bread. You can head on to your next mountain adventure into these parts of the eastern Himalayas and book yourself for a Baasbari experience through any of the following portals. Baasbari Farms have hosted many happy travelling families and their heartfelt feedback can be found in the official website Baasbari Farm and their Instagram handle Instagram Baasbari Farms or their Facebook page Facebook Baasbari Farms. Overall, Navraj says that they have had an overwhelming response from every guest who has visited them till date. ‘Most of them ‘come in as guests and leave as family, attached to our staff, landscape and culture’. Thank you for reading! 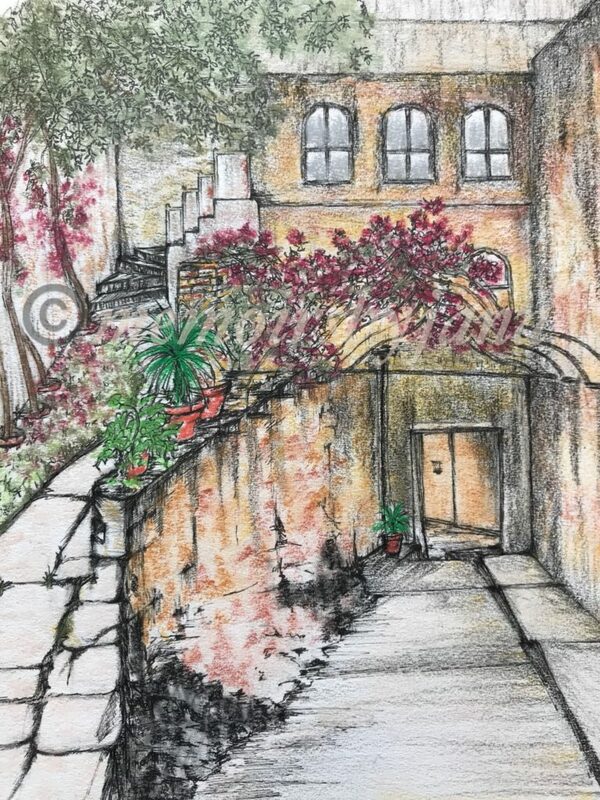 Stay tuned to Sketchywanderer for more vignettes of lesser-known places and spaces. I would love to hear your thoughts and feedback on this blog. I absolutely love driving on the highways, in the rains. And No! Not the kind of rains where you find yourself trapped inside the car with depleting levels of oxygen and that inane sense of helplessness & nausea. But the kind that just lightly drizzles moisture and covers just about everything all around with a layer of ‘shocking green’. The kind which makes the hills appear darkly grey and the grounds look as if covered in glass. So yes! This was the backdrop for yet another extended weekend for us. 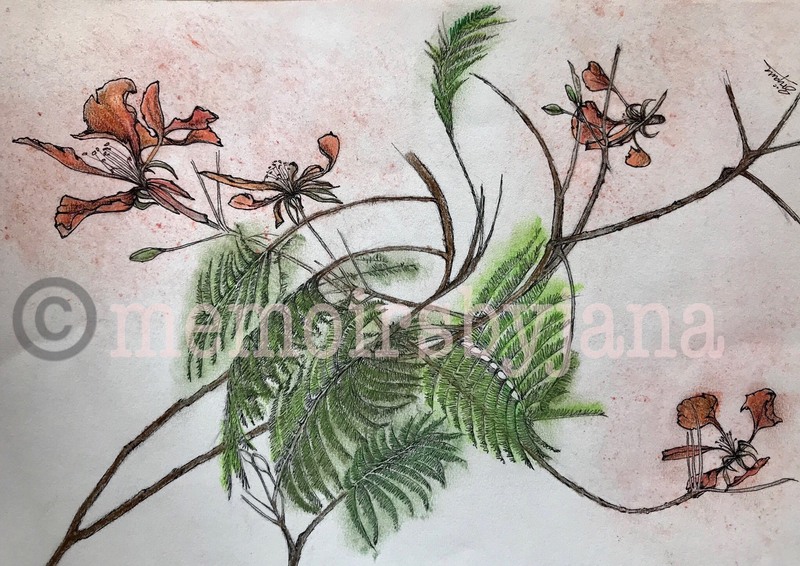 As accomplished road-trippers, we started the day early to beat the city traffic and once on the highway it was a pleasant balmy cruise through picturesque stretches occasionally lined with the last few flaming orange blooms of ‘Gulmohar’. Expecting nothing more than a quick visit to the much revered Trimbakeshwar temple (having made a solemn resolve to leave the ‘Wine-country experience for later), the ancient city of Nashik quite took me by surprise. Personally, I felt that the main temple paled in comparison to the historical treasure that the place had to offer. 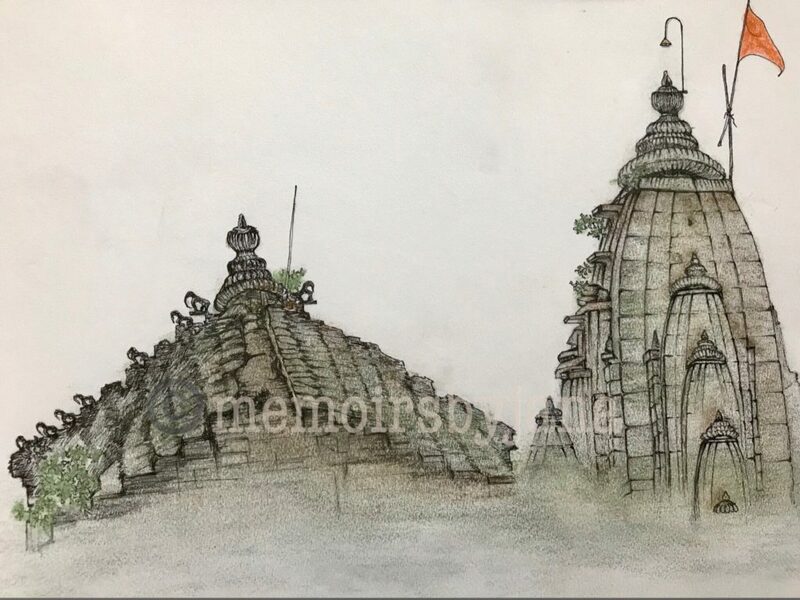 The exploration of the ‘Panchvati’ temples was an exciting affair after having bargained a neat amount with a local auto-rickshaw who promised to careen us around and complete the requisite round of temple-gazing. But amidst the age-old temples and relics what caught my eye right from the start were the unmistakably splendid rooftops overlooking the holy waters of Godavari. It was a bit of a disappointment to learn that the temple I was gazing at like a love-struck teenager did not even feature in our day’s itinerary. So, just before we wrapped up our afternoon, I set out forth to find out what it was. I cannot muster up much eloquence to describe a broken entrance, an empty inner shrine and a general sense of abandonment. But what I can never forget is the rich variety of intricate sculpture and carvings all over the walls. This temple stayed with me through the journey back and prompted frequent google searches and random fact-checking. Surprisingly, this is the much talked about 18th-century ‘Naroshankar Temple’ and there it stands a silent metaphor of our current times. Perhaps the best days of my early childhood were those Friday evenings when the entire family would get ready for the evening show at Capital Hall. This was the early 1980’s when there was a choice of two cinema halls for the avid moviegoers in this small hill-town. The Rink Cinema (now developed into the Big Bazar / Inox complex) was almost always the second choice to the Capital Hall with its option of a Balcony section. As a young child, I clearly remember the grille design of the front porch entrance to this grand building, the smell of fresh pop-corn that was uniquely different with its pungent mustard flavour, the crackle of fresh local potato ‘chips’ and the general waft of smoke & mint in the air. 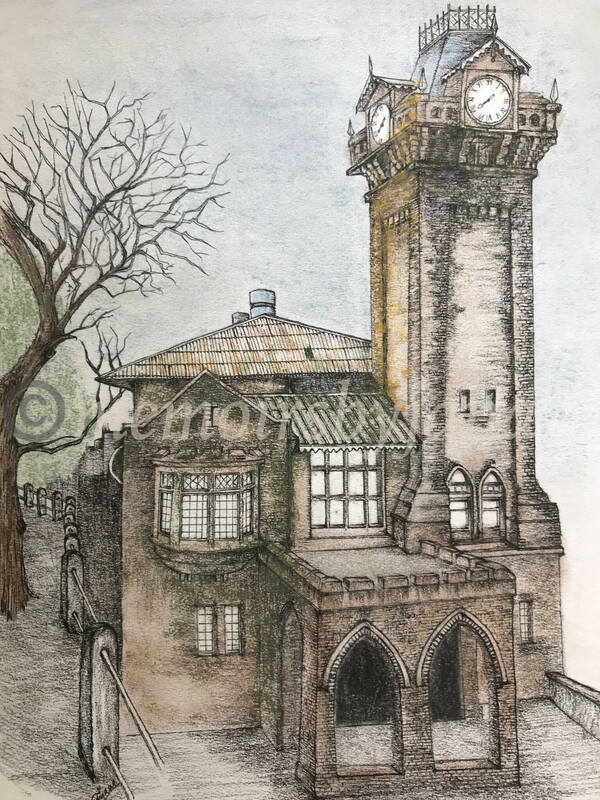 This prominent landmark and colonial heritage since 1917 met a sad turn of events when a fire broke out in 1996 bringing down the dreams of many in its smouldering flames. Since then, the building has mostly stayed closed and was briefly occupied by the CRPF during the recent political upheaval. If you are in Darjeeling you will not miss this grand structure on your way up to Ladenla Road, leading to Nehru Road and the Mall. The Capital Hall is one of the few Colonial Buildings that lends its appeal to Darjeeling’s old-world charm. Its present state is a woeful sight as it stands gravely in lack of care and maintenance. 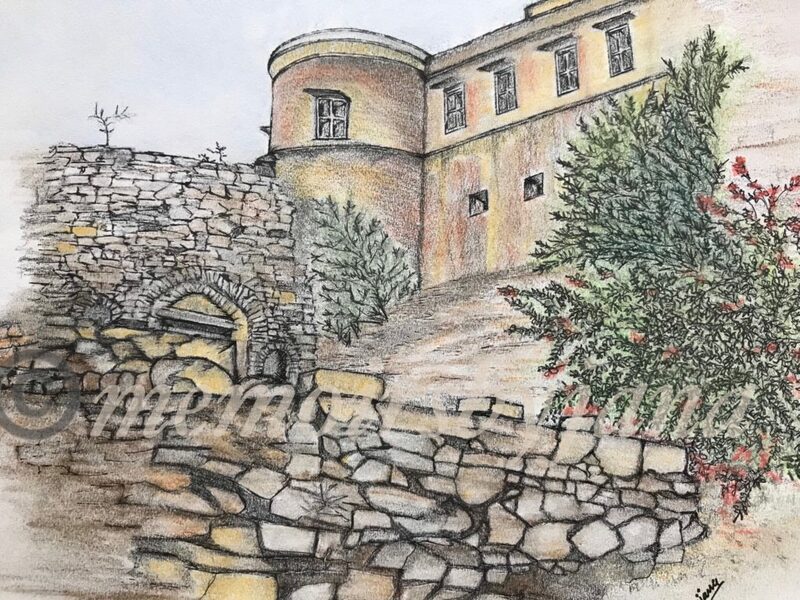 My sketch is a tribute to this prominent landmark and the memory of what it stood for. Pencils, Pen, Cretacolor Hard Pastels & Camlin Charcoal on Fabriano A4.